What Kind of Reaction Is Photosynthesis? Without the series of chemical reactions collectively known as photosynthesis, you wouldn't be here and neither would anyone else you know. This might strike you as an odd claim if you happen to know that photosynthesis is exclusive to plants and a few micro-organisms, and that not a single cell in your body or that of any animal has the apparatus to carry out this elegant assortment of reactions. What gives? Put simply, plant life and animal life are almost perfectly symbiotic, meaning that the way that plants go about fulfilling their metabolic needs is of supreme benefit to animals and vice versa. In simplest terms, animals take in oxygen gas (O2) to derive energy from non-gaseous carbon sources and excrete carbon dioxide gas (CO2) and water (H2O) in the process, while plants use CO2 and H2O to make food and release O2 to the environment. In addition, about 87 percent of the world's energy is presently derived from the burning of fossil fuels, which are ultimately products of photosynthesis as well. It is sometimes said that "photosynthesis is to plants what respiration is to animals," but this is a flawed analogy because plants make use of both, while animals only use respiration. 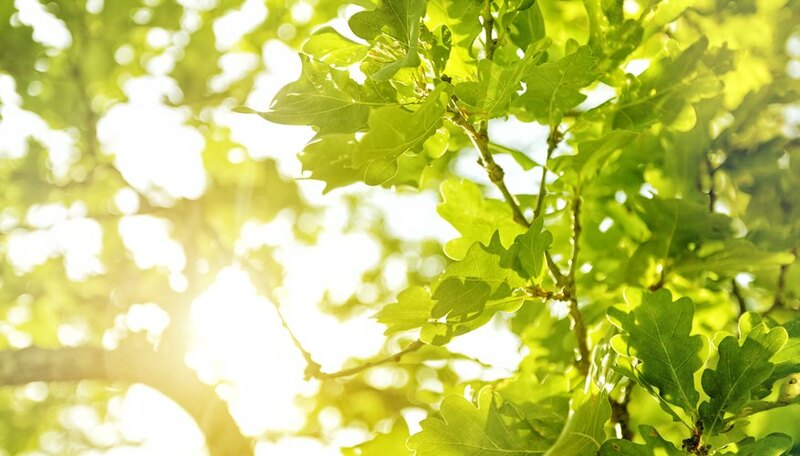 Think of photosynthesis as the way plants consume and digest carbon, relying on light rather than locomotion and the act of eating to put carbon in a form that tiny cellular machines can put to use. Organisms that use photosynthesis to make glucose are called autotrophs, which translates loosely from Greek to "self food." That is, plants do not rely on other organisms directly for food. Animals, on the other hand, are heterotrophs ("other food") because they have to ingest carbon from other living sources in order to grow and remain alive. What Type of Reaction Is Photosynthesis? You can verify for yourself that the number of each type of atom is the same on each side of the arrow: Six carbon atoms, 12 hydrogen atoms and 18 oxygen atoms. Reduction is the removal of electrons from an atom or molecule, while oxidation is the gaining of electrons. Correspondingly, compounds that readily yield electrons to other compounds are called oxidizing agents, while those that tend to gain electrons are called reducing agents. Redox reactions usually involve the addition of hydrogen to the compound being reduced. The first step in photosynthesis might be summed up as "let there be light." Sunlight strikes the surface of plants, setting the whole process in motion. You might already suspect why many plants look the way they do: A great deal of surface area in the form of leaves and the branches that support them that appears unnecessary (albeit attractive) if you don't know why these organisms are structured this way. The "goal" of the plant is to expose as much of itself to sunlight as it can – making the shortest, smallest plants in any ecosystem rather like the runts of an animal litter in that they both struggle to obtain enough energy. 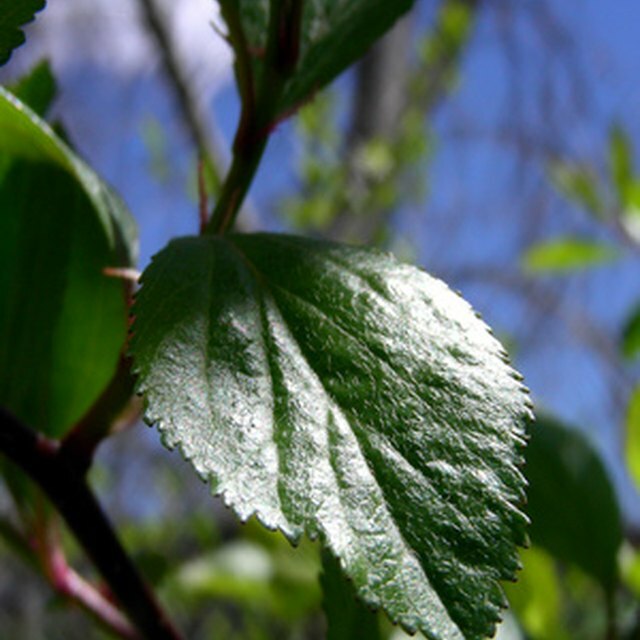 Leaves, not surprisingly, are extremely dense in photosynthetic cells. These cells are rich in organisms called chloroplasts, which is where the work of photosynthesis is done, just like mitochondria are the organelles in which respiration occurs. In fact, chloroplasts and mitochondria are structurally quite similar, a fact that, like practically everything in the world of biology, can be traced to the marvels of evolution.) Chloroplasts contain specialized pigments that optimally absorb light energy rather than reflecting it. That which is reflected rather than absorbed happens to be in a range of wavelengths that is interpreted by the human eye and brain as being a particular color (hint: It starts with "g"). The main pigment used for this purpose is known as chlorophyll. Chloroplasts are surrounded by a double plasma membrane, as is the case with all living cells as well as the organelles they contain. In plants, however, a third membrane exists internal to the plasma bilayer, called a thylakoid membrane. This membrane is folded very extensively so that disclike structures stacked atop each other result, not unlike a package of breath mints. These thylakoid structures contain chlorophyll. The space between the inner chloroplast membrane and the thylakoid membrane is called the stroma. Photosynthesis is divided into a set of light-dependent and light-independent reactions, usually called the light and dark reactions and described in detail later. As you may have concluded, the light reactions occur first. When light from the sun strikes the chlorophyll and other pigments inside the thylakoids, it essentially blasts loose electrons and protons from the atoms in chlorophyll and elevates them to a higher energy level, making them freer to migrate. The electrons are diverted into the electron transport chain reactions that unfold on the thylakoid membrane itself. Here, electron acceptors such as NADP receive some of these electrons, which are also used to drive the synthesis of ATP. ATP is essentially to cells what dollars are to the U.S. financial system: It is "the energy currency" using which virtually all metabolic processes are ultimately carried out. While this is happening, the sun-bathing chlorophyll molecules have suddenly found themselves short of electrons. This is where water enters the fray and contributes replacement electrons in the form of hydrogen, thereby reducing the chlorophyll. With its hydrogen gone missing, what was once water is now molecular oxygen – O2. This oxygen diffuses out of the cell and out of the plant entirely, and some of it has managed to find its way into your own lungs at precisely this second. Photosynthesis is termed an endergonic reaction because it requires an input of energy in order to proceed. The sun is the ultimate source of all energy on the planet (a fact perhaps understood at some level by the various cultures of antiquity that considered the sun a deity in its own right) and plants are the first to intercept it for productive use. Without this energy, there would be no way for carbon dioxide, a small, simple molecule, to be converted to glucose, a considerably larger and more complex molecule. Imagine yourself walking up a flight of stairs while somehow not expending any energy, and you can see the problem faced by plants. In arithmetic terms, endergonic reactions are those in which the products have a higher energy level than the reactants do. The opposite of these reactions, energetically speaking, are called exergonic, in which the products have lower energy than the reactions and energy is thereby liberated during the reaction. (This is often in the form of heat – again, do you become warmer or do you grow colder with exercise?) This is expressed in terms of the free energy ΔG° of the reaction, which for photosynthesis is +479 kJ ⋅ mol-1 or 479 joules of energy per mole. The positive sign indicates an endothermic reaction, while a negative sign indicates an exothermic process. In the light reactions, water is broken apart by sunlight, while in the dark reactions, the protons (H+) and electrons (e−) freed in the light reactions are used to assemble glucose and other carbohydrates from CO2. You can see that both sets of reactions are endergonic, the light reactions more strongly so. Energy coupling in living systems means using energy made available from one process to drive other processes that would otherwise not take place. Society itself sort of works this way: Businesses often have to borrow large sums of money up front in order to get off the ground, but ultimately some of these businesses become highly profitable and can make funds available for other start-up companies. Photosynthesis represents a good example of energy coupling, as energy from sunlight is coupled to reactions in chloroplasts so that the reactions can unfold. The plant eventually rewards the global carbon cycle by synthesizing glucose and other carbon compounds that can be coupled to other reactions, immediately or in the future. For example, wheat plants produce starch, used the world over as a main source of foods for humans and other animals. But not all of the glucose made by plants is stored; some of it proceeds to different parts of plant cells, where the energy liberated in glycolysis is ultimately coupled to reactions in the plant mitochondria that result in the formation of ATP. While plants represent the bottom of the food chain and are widely viewed as passive energy and oxygen donors, they do have metabolic needs of their own, having to grow larger and reproduce just like other organisms. Why Can't Subscripts Be Changed? As an aside, students often have trouble learning to balance chemical reactions if these are not provided in balanced form. As a result, in their tinkering, students may be tempted to change the values of the subscripts in molecules in the reaction in order to achieve a balanced result. This confusion may stem from knowing that it is permissible to change the numbers in front of the molecules in order to balance reactions. Changing the subscript of any molecule turns that molecule into a different molecule altogether. For example, changing O2 to O3 does not merely add 50 percent more oxygen in terms of mass; it changes oxygen gas into ozone, which would not participate in the reaction under study in a remotely similar way. How Are Cellular Respiration & Photosynthesis Almost Opposite Processes? Beck, Kevin. "What Kind of Reaction Is Photosynthesis?" Sciencing, https://sciencing.com/kind-reaction-photosynthesis-8272546.html. 29 November 2018.